Nikon Black X1000, FX1000, Monarch 3000, RangeX4000, & LaserForce: READY TO SHIP! Prairie Gun Traders Tenda Canada WASP Munitions Tesro Inc.
Thread: Nikon Black X1000, FX1000, Monarch 3000, RangeX4000, & LaserForce: READY TO SHIP! Last edited by plainSight Solutions; 05-19-2018 at 04:17 PM. We have received yet another shipment of the X1000 and FX1000 scopes, which have proven to be very popular! Please let me know if I can be of any assistance! In regards to the warranty, are the illuminated reticle versions completely warrantied? What kind of turn around on them if something went wrong? 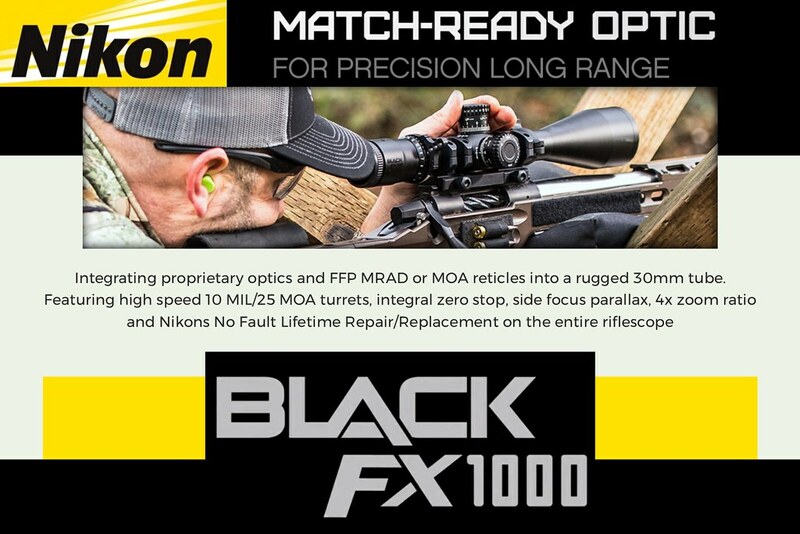 The picture of the FX1000 illuminated reticles are wrong in your web page? Nikon provides a limited lifetime warranty on the non-electronic components, and a 2-year warranty on the electronic components. I cannot speak to the lead-time on Nikon warranty, because I have not had any Nikon products that needed to go in for warranty work, thusfar. The reticle images will be updated soon. Please let me know if I can be of any assistance. Ok thanks Omer, so the FX illuminated reticle would be 2 years only. We need a review on the Nikon Monarch 3000 stabilized!!!!! I see a few reviews are out now. Last edited by Lead hammer; 05-22-2018 at 06:38 PM. We just received an order of Nikon Laserforce 10x42's and have five left. Excellent performance at a great price on an RF bino! 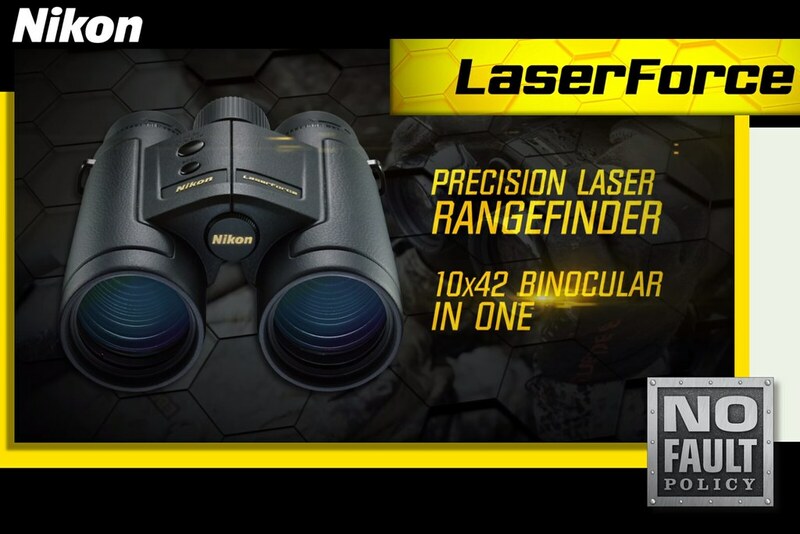 Nikon LASERFORCE 10x42 Rangefinder Binocular - 16212 - $1299! All times are GMT -4. The time now is 04:02 PM.